Round three-tab adapter for Power Bleeder fits late model Chrysler vehicles (most 1983 and later). 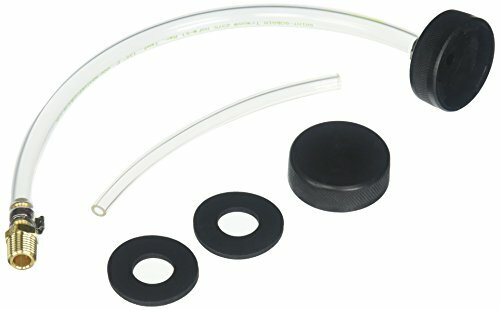 The custom Chrysler adapter kits come with everything you need to convert your POWER BLEEDER to work on most late model Chrysler cars and trucks with round 3-tab reservoir caps, including systems with tandem reservoir caps including Strange brand M/C's (Chrysler / Dodge / Mopar / Strange). Note: if your Motive Products Power Bleeder was made before 2008 and does not have a set of brass fittings on the hose midway between the tank and the cap you will also need to order p/n 0400.